We are the leading manufacturer of 500 ml PVC Pipe Adhesives to our clients. 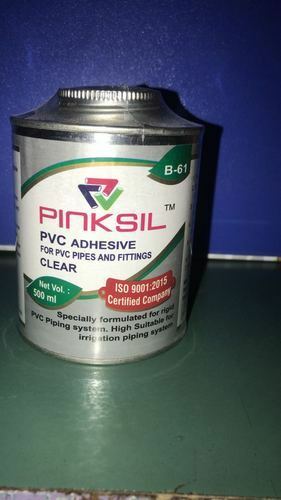 It is clear PVC solvent cement for PVC pipes and fittings. High suitable for irrigation piping system.